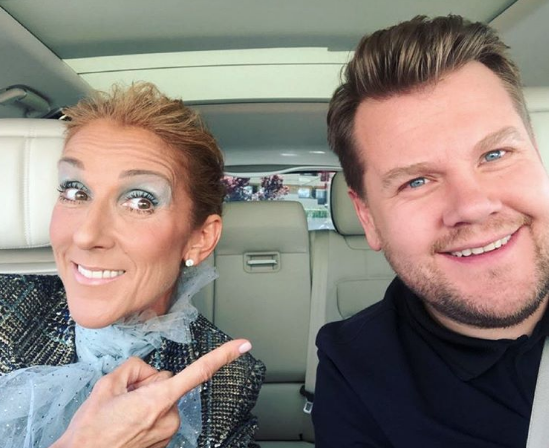 Look who’s buckling up for ‘Carpool Karaoke’! 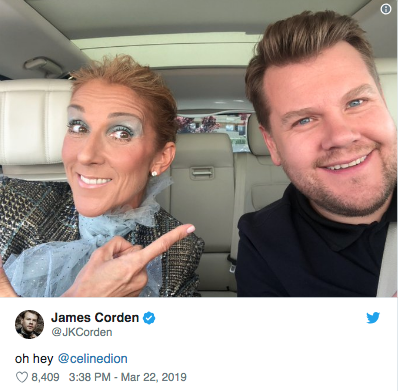 Sending fans into a frenzy with the announcement, 5-time Grammy winner Celine Dion will be the next superstar to take a ride with ‘The Late Late Show’s James Corden for the series’ prized segment. Having driven her fair share of timeless hits to the top of charts across the world over her illustrious 30+ year career, Dion comes as an excellent addition to the string of Pop icons that have appeared on ‘Karaoke’ including her ‘Tell Him’ duet partner Barbra Streisand, Madonna, Mariah Carey, Jennifer Lopez, Britney Spears, and many more. Taking a break from her final run of Vegas shows, the 50-year-old diva reportedly taped the segment Friday (March 22). As of time reported, its air date has not been announced. She looks too skinny now. I hope she eats some pop eyes asap. Her weight loss is affecting her face. Celine looks very old here the extra weight loss does not look good on her it looks scary. She is aging in the face but is in just grat shape body wise. It´s normal for SKINNY people who have not RETOUCHED their faces like 95% of the industry. Just that. Also, she has aged especially since losing her husband 3 years ago. But other than that she looks and acts healthy and full of energy as ever. She is not over 50. So she´s doing more than good if you ask me. Can´t wait for this episode because she sings and she´s funny. One of the biggest older stars we have. She´s also such a truly nice and emotionally inteligent person. Lover her. Celine has had lots of plastic surgery. Being skinny is not healthy, especially at her age. I know white women age badly and fastly but plenty of them in their early 50s look way healthier than Celine (Shania Twain, Faith Hill, Sarah Palin, Julianne Moore, Demi Moore, Kim Cattrall etc). Your words are ridiculous. You are totally mistaking health with looks. Being skinny over 50 is not healthy??? LMAO Look, SHE IS skinny. It´s not something she can change. You mean to say rounded faces age better. Like Shania´s. nothing to do with Shania being healthier cause we don´t know that. Like I said, despite some weight loss, Celine looks and acts way happier (healthier) than Shania herself for example. And btw with the surgery stuff I meant things to avoid aging by CHANGING the way you look. Many famous cases. Madonna at this age started to f*** up her face badly. Why? Because if not, hers would have been looking like Dion´s (not as much because Madonna is more round). You better worry about Mariah TREMENDOUS yo-yo diets over the decades. That must be hell and so bad for the body. 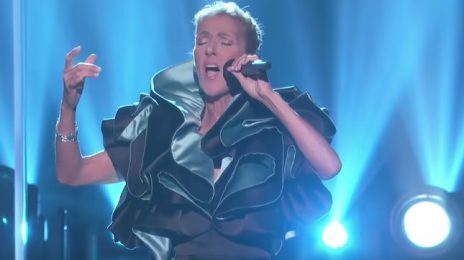 Whatever Celine is going through I don´t think it is anything that bad. She Is very skinny but could be down to health reasons doesn’t strike me as the type to deliberately look haggard. I know some chart-toppers that could never. Celine Dion announced that she’ll be hitting the road this Fall for the ‘Courage Tour’ – which’ll dub as her first US trek in over a decade.